I want to share the latest news on Bucaral, one of the greatest communities I’ve had the pleasure to work for with Collectivox. This week, the Gran Misión Barrio Nuevo Barrio Tricolor (http://www.barriotricolor.gob.ve/) arrived to Bucaral, to spruce up all the buildings and common spaces, walls and windows were re[aired and painted, new doors installed. 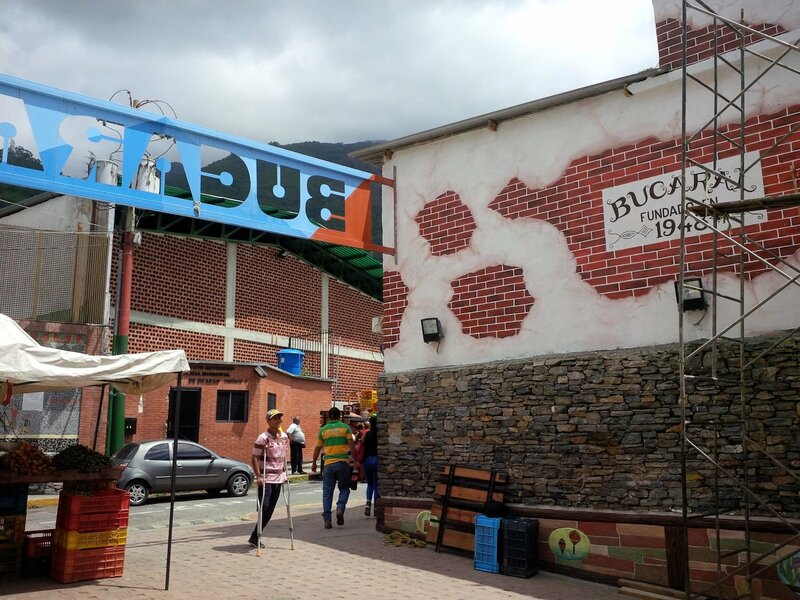 As you may have noticed in my Social Enterprise portfolio, back in July 2014 we spent three intense weeks working alongside the community to install the big colourful sign that now clearly identifies Bucaral. This rather simple but meaningful intervention, requested by the community, gave greater visibility to what is a long established neighbourhood, embedded in the midst of an upper middle class neighbourhood. 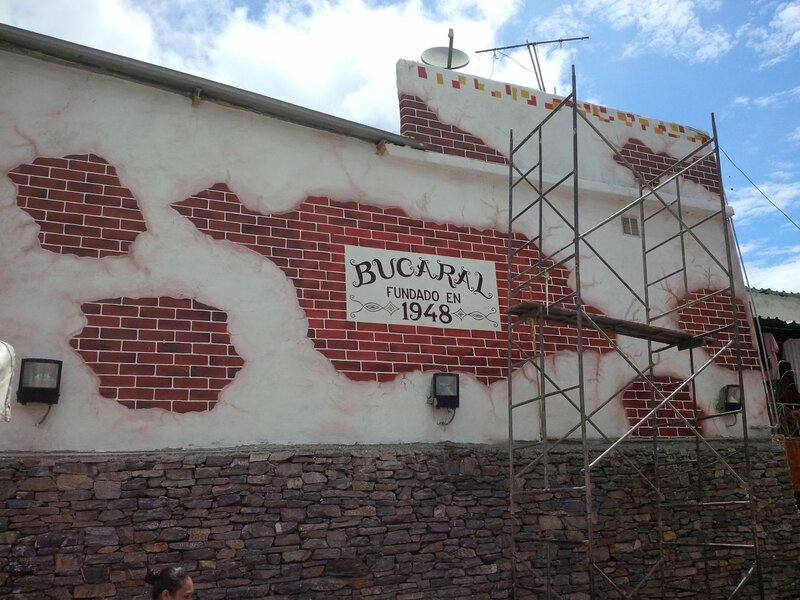 I particularly love the statement made by the mural intervention, painted to look like ancient brick walls, with a large colonial style font lettering that reads “Bucaral founded in 1948”. This plaque sends the clear message that Bucaral is a consolidated and long established community, not a “slum” or a shanty town, that the establishment of Bucaral is contemporary with the urban private development of the wealthier neighbourhoods of Altamira, La Castellana and Los Palos Grandes. The other side of Venezuela’s oil modernity.